This word is formed with the initials of three neighborhoods: Yanaka (谷中), Nezu (根津) and Sendagi (千駄木) in Bunkyo-ku and Taito-ku, the northeastern area of Tokyo. 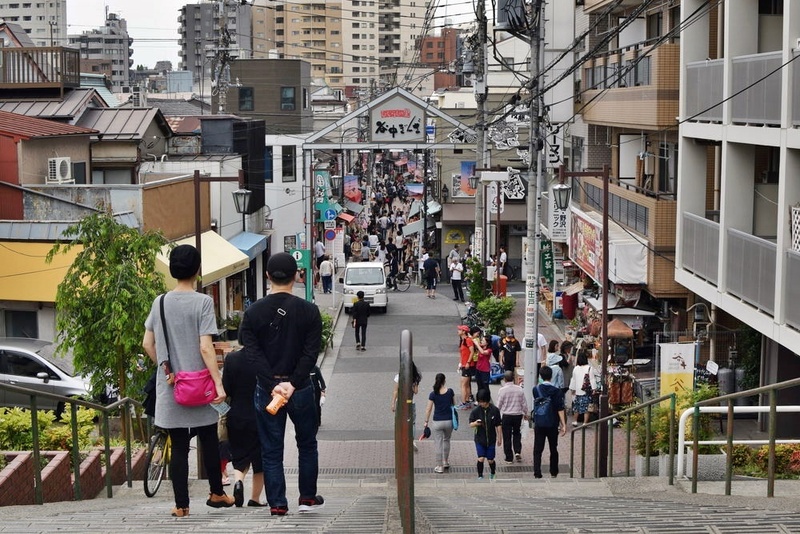 It’s a non-commercial residential area known as “Shitamachi” (下町, old downtown) where there is a significant nostalgic and retro local atmosphere remaining. 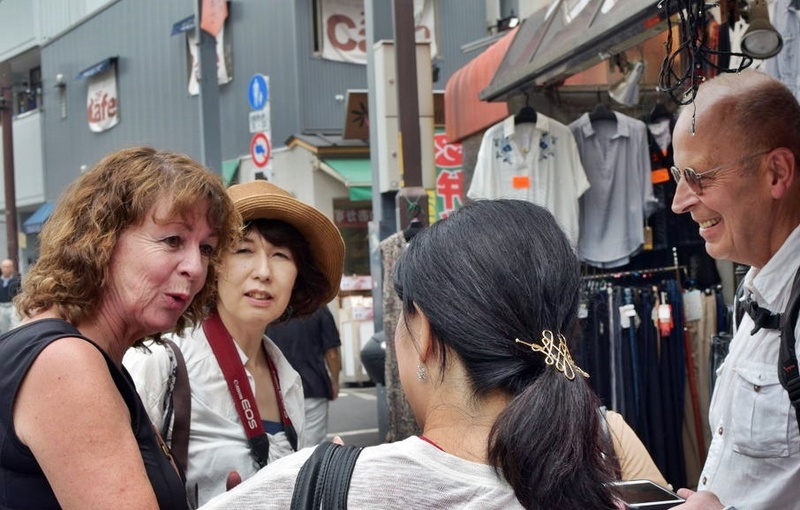 Located north of Ueno, there are around 70 small, privately owned stores in the area. Also, it is a district where more than 60 small Buddhist temples are situated. “We are from San Francisco. We came to Japan two days ago and we’re going to be here for two weeks. We went to the National Museum of Modern Art in Ueno and we’ll visit Osaka and Kyoto after staying in Tokyo. Also, we’re going surfing along the coast. 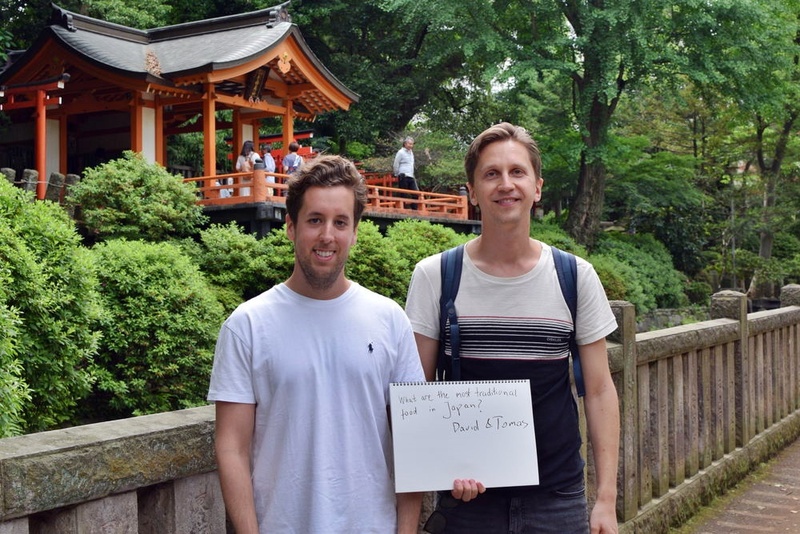 “Tokyo is very beautiful. 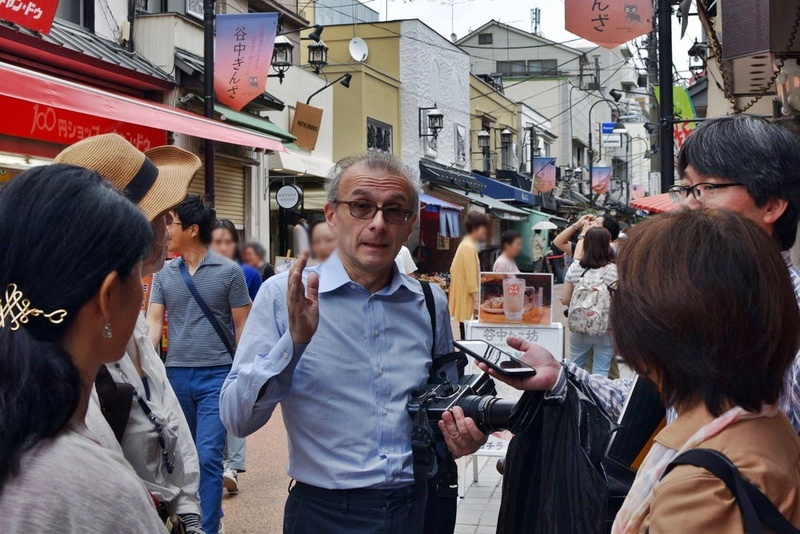 We’re staying in the Naka-meguro neighborhood and we like the blending of all the French influence there. It’s a wonderful part of the city. Question: Why do you put your fingers up when you take a picture? “I’m a doctor from New York. I came to Japan to speak on diabetes treatment and to see other doctors. I’ve been to Kumamoto, Ehime and Tokyo. 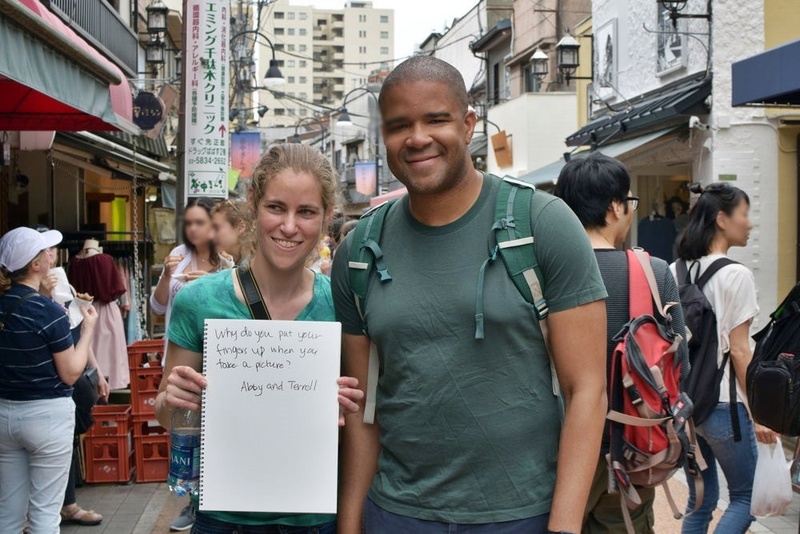 “I’ve been to Japan ten times over the last decade. 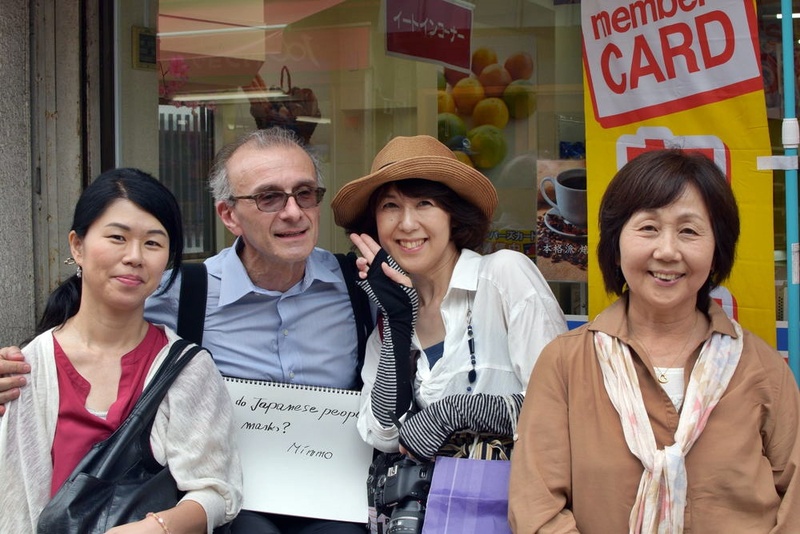 I can speak Japanese because I studied the language with two teachers at home. “I came to Yanaka for the first time. Especially, I like Asakura Museum of Sculpture. But, I think the atmosphere of the town was ruined by tourism. 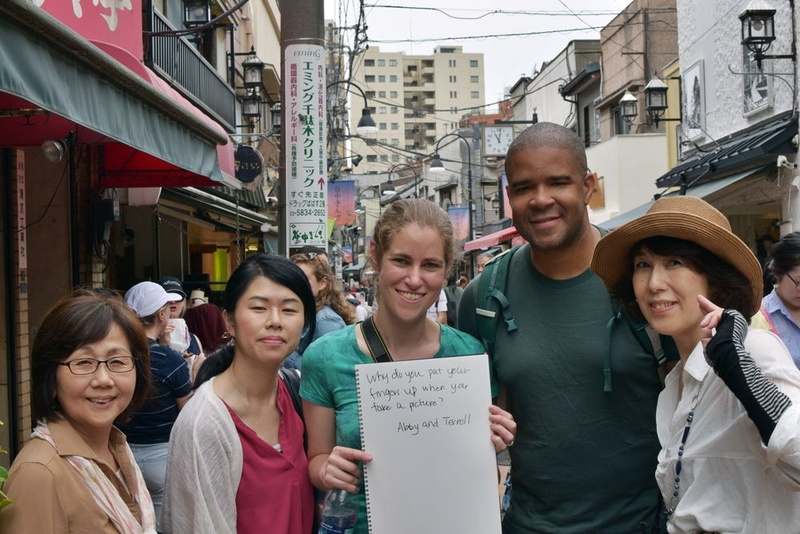 “My most favorite town in Tokyo is Kagurazaka. I love the shops in town and love to buy fresh produces from the locals. Question: Why do Japanese people wear masks? Question: Why are the shoes of many Japanese people one size too big? 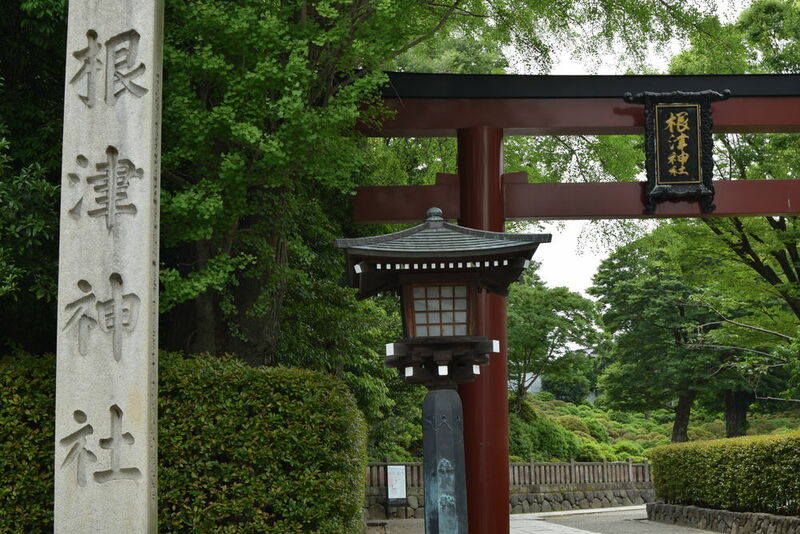 A Shinto shrine located in Bunkyo-ku. According to legend, the shrine was founded in Sendagi, just north of the current location, in the 1st century A.D. by Yamato Takeru (日本武尊), a legendary Japanese prince of the Yamato dynasty. In 1705, it was relocated to Nezu by Tokugawa Tsunayoshi, the fifth shogun of the Tokugawa dynasty. “We’re from London. This is our first time in Japan. We’ve been here for six days and will fly back home tomorrow. We stay only in Tokyo because a week is very short. We’ve been to Shibuya, Tokyo Skytree, Tokyo Metropolitan Building in Shinjuku, Mori Art Museum in Roppongi, Tokyo National Museum in Ueno and Hokusai Museum near Ryogoku. We also joined a Mt. Fuji tour, which was the only trip going out of Tokyo. 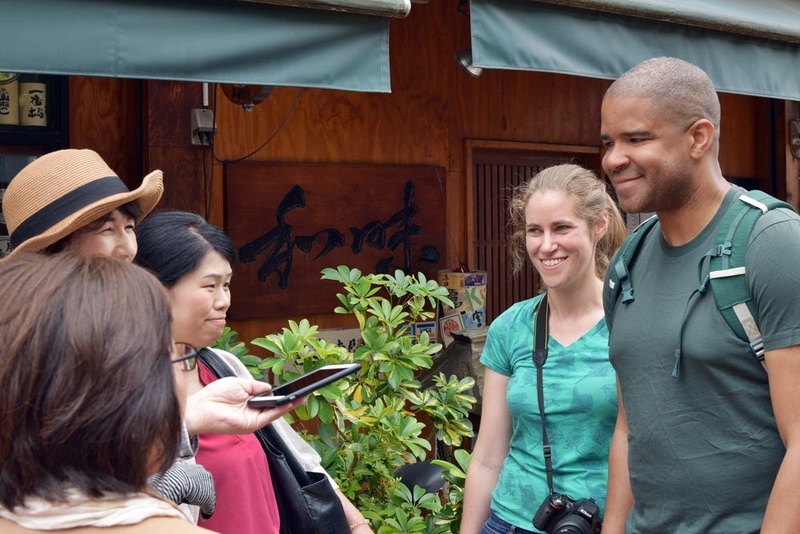 “We found Yanaka on Lonely Planet and came to the place. A staff told us about this shrine at a coffee shop nearby. 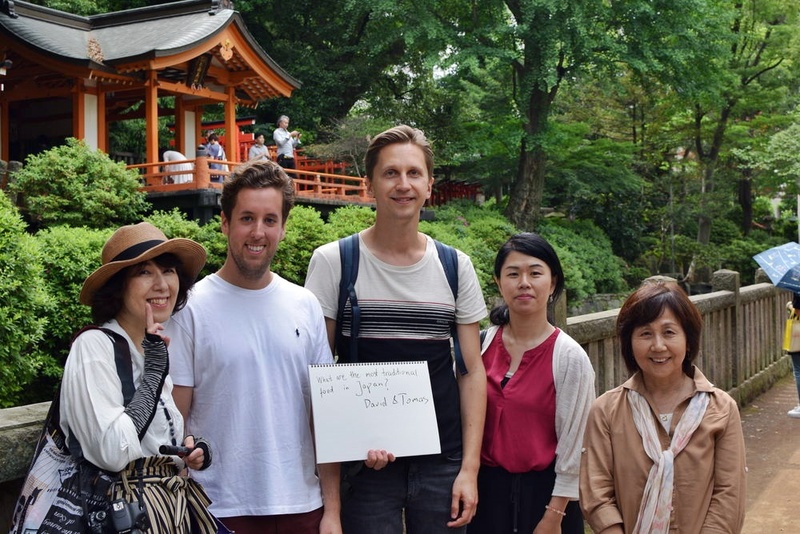 She was friendly enough to talk to us and give us a map, so we got interested in the shrine. 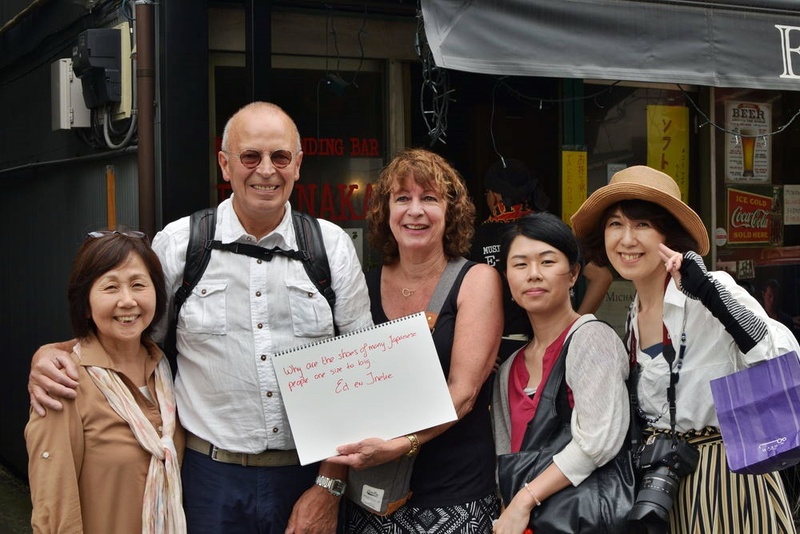 “We were interested in Japan after reading some books such as one written by Marie Kondo, a Japanese organizing consultant. Her book was very popular in UK a year and a half ago. It was really appealing, especially her philosophy or the way of how she writes about it. 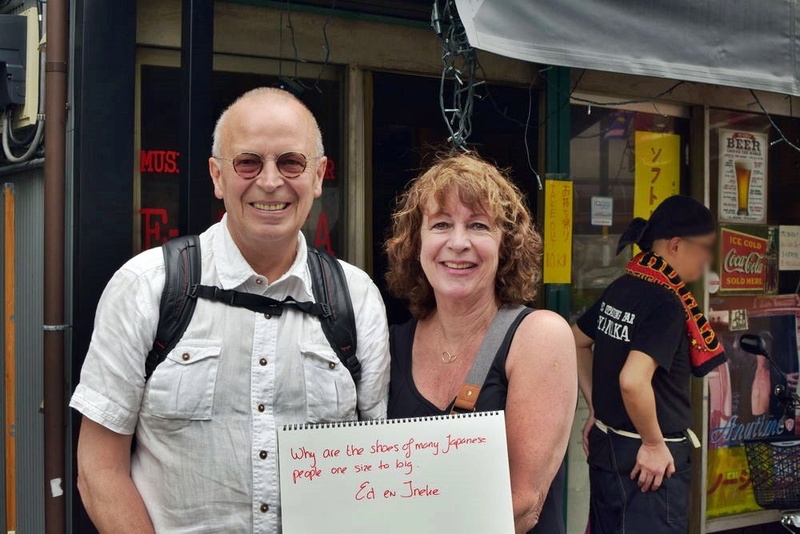 “Also we have quite a lot of MUJI shops in London. We love their products because those are very clean and simple. 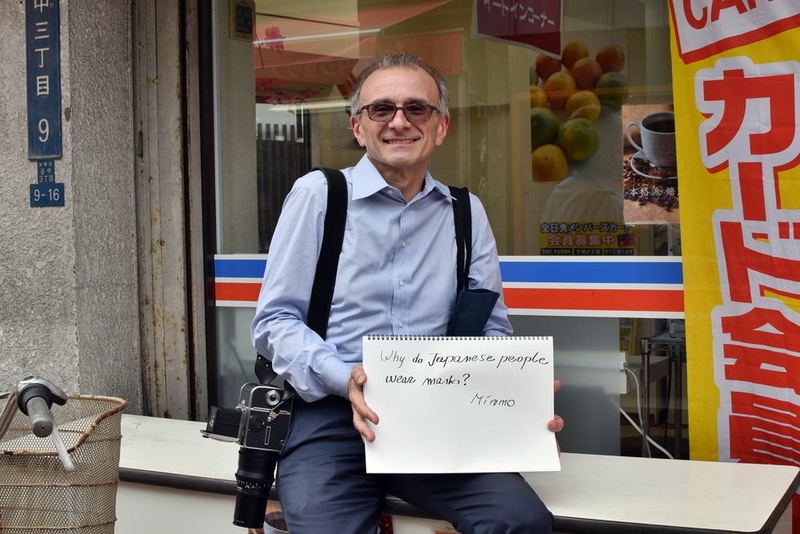 Question: What are the most traditional food in Japan?